All major credit or debit cards may be to your account for purchases online and in app. Your Masterpass account comes with multi-tiered security to help keep your information private. Masterpass is the only digital wallet from Mastercard, so you can shop with confidence. Unable to find an answer to your question and require further assistance? Please contact Masterpass Support by calling toll-free at 1-888-327-2943 or 1-636-722-6270. How do I add my Masterpass Wallet to my Plastiq account? Navigate to the card drawer by clicking on a card you have added in the top-left corner of your Plastiq account. If you have not added a card, click “Add your first card”. Above the card icon, select “More Ways to Add”. Then, click “Add a Card from Masterpass”. 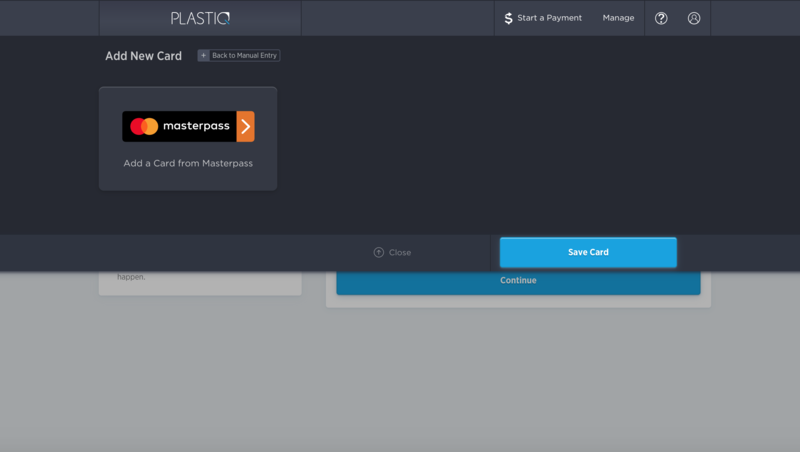 From here, linking your Masterpass Wallet means Plastiq will store your payment card data for future payments with Plastiq. You are then taken to securely sign into your Masterpass account. 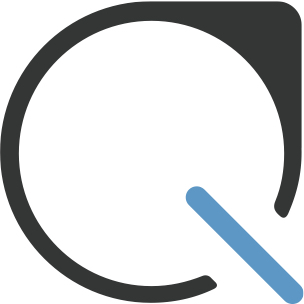 If at anytime you would like to return to your Plastiq account, click “Return to Plastiq” in the upper right corner. What if I don't have a Masterpass account? 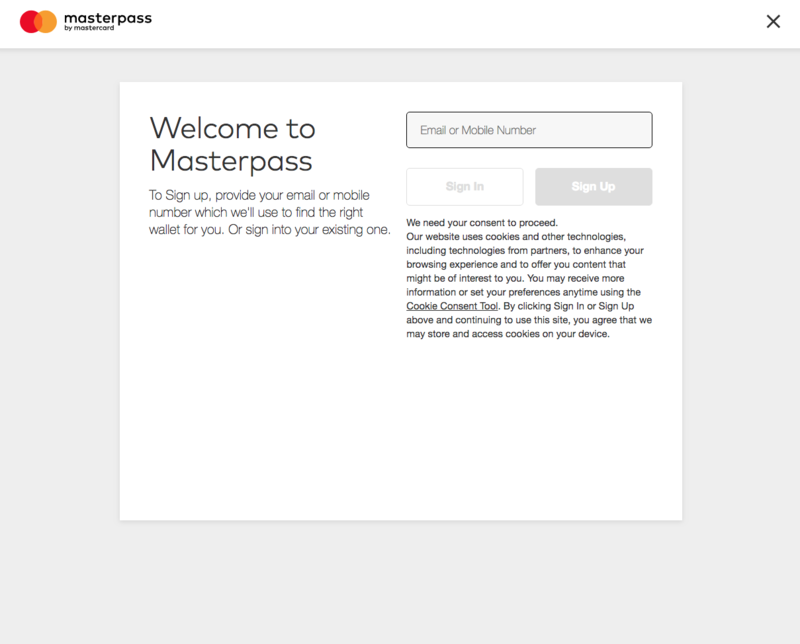 If you do not have a Masterpass login and would like to sign up to store your payment cards, please click here to be directed to Masterpass to create your account. Add cards and store information as directed. Follow the steps above to link your Masterpass and Plastiq accounts.